Location: Our stunning 4 star getaway beckons visitors from far and wide. Located near the Central Railway Station, guests are invited to venture a ride to the city’s center to explore the ins and outs of Italy’s fashion capital. 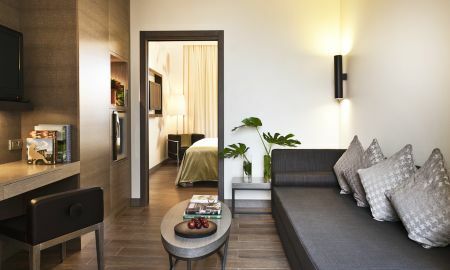 Description: Starhotels Echo is a stunning breath of fresh air: an eco friendly space renovated to serve Mother Nature while wetting your appetite for luxury. With innovative and intelligent design, this low energy establishment is the perfect place to enjoy the outdoors as you bask in the breezy views of one of Italy’s most interesting and beautiful cities. 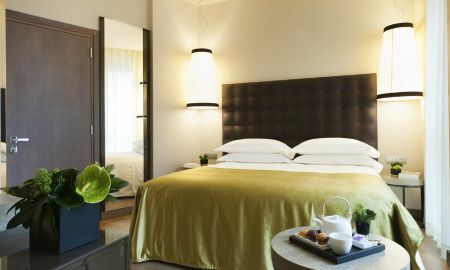 Its ample windows are the perfect prism for the sun’s natural light, and with dozens of terrace and outdoor spaces to offer, its no wonder this hotel is one of Milan’s most popular new getaways. 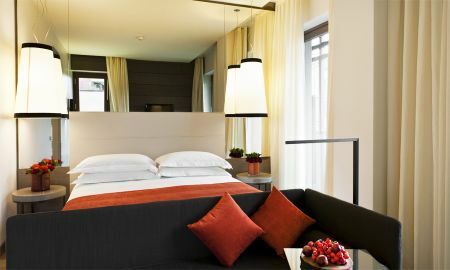 143 contemporary rooms and suites and a restaurant with an array of delectable delights, as well as 5 meeting rooms and stunning fitness facility to keep in you shape while you do business or check on the kids’ activities make this hotel the perfect spot for work or play. 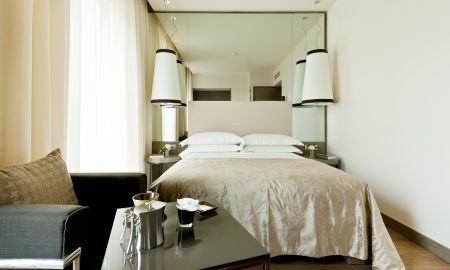 Our striking 4 star hotel in Milan is next to the Central Railway Station, a few minutes from the city centre.